Stimulates the breasts that enable mothers to have comfortable and successful breast milk expression due to Suckling pattern which encourages milk flow. Mother’s milk is the best source of nutrition for all baby, but all feeding women may not always be there to feed child. So breast pump solve this problem. 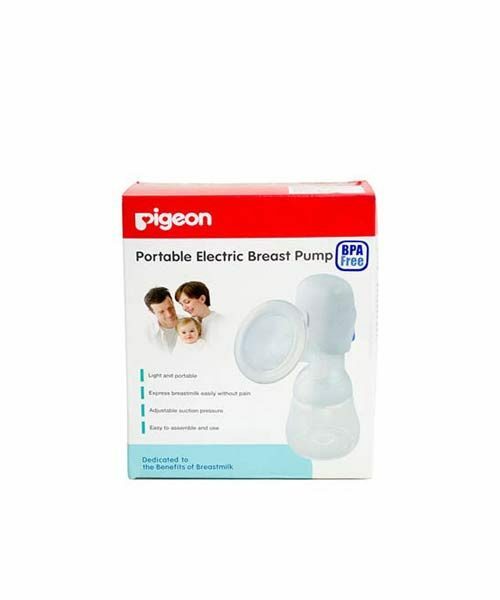 Pigeon Portable Breast Pump is comfortable & easy to use. It secures bottle to prevent spills. It have Perfect Sealing Soft Silicone Air Cushion. It Two-Phase Technology Stimulation and Expression modes. It is Ergonomic easy-express handle. It is simple and easy, have no back flow feature.